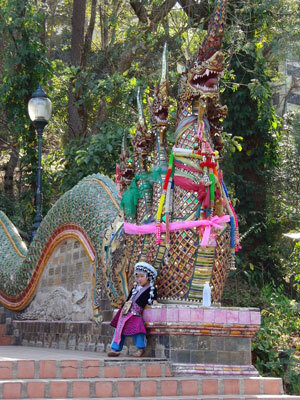 We hailed a songthaew (kind of pick-up taxi) at Chang Puak Gate on the north wall, which brought us to the temple on Doi Suthep mountain. 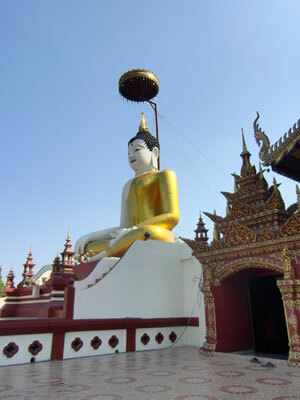 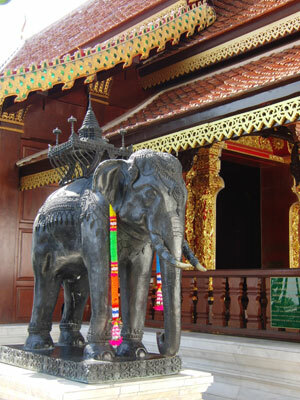 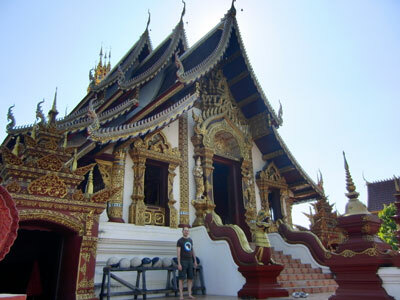 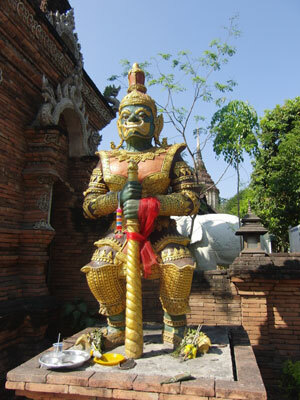 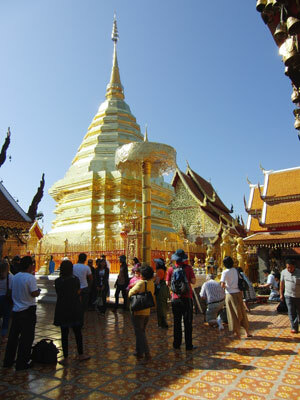 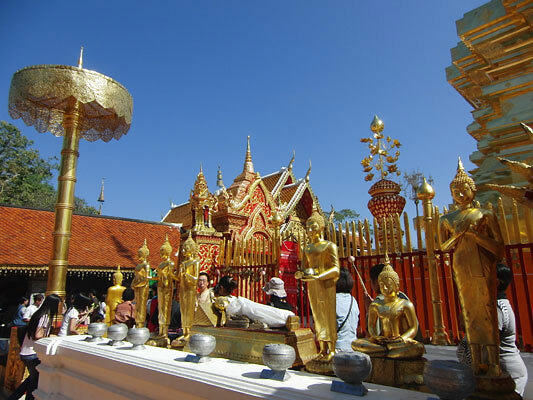 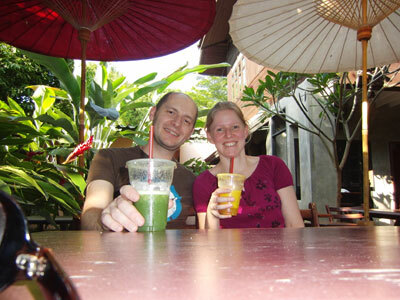 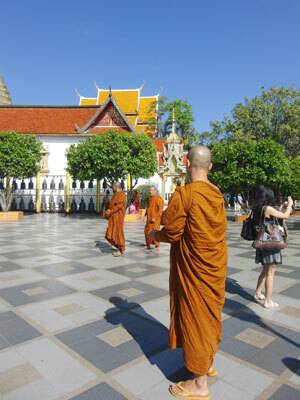 Wat Phra That Doi Suthep is a Buddhist temple equally favoured by tourists and pilgrims. 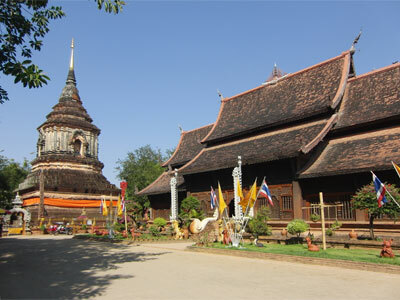 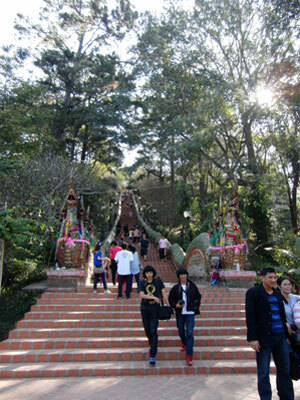 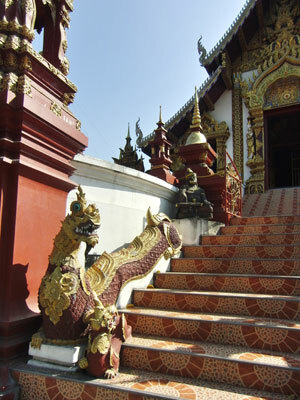 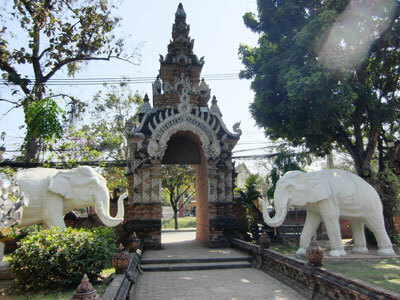 A long stairway, flanked by nagas, leads from the parking area with its many souvenir and food stalls up to the temple. 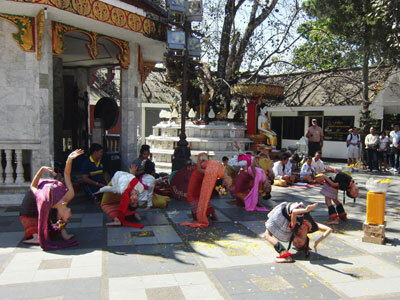 In the afternoon we visited some temples we had spotted on our drive back to town. 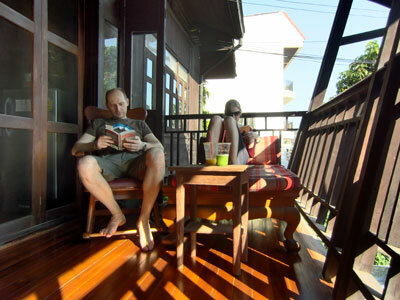 Today it was very hot, and so we spent the rest of the afternoon relaxing and reading in the garden and on our nice terrace. 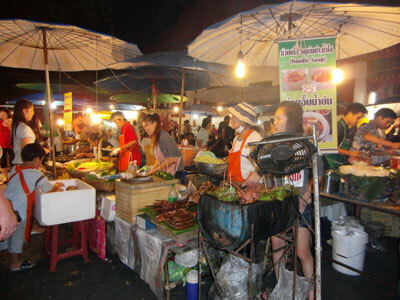 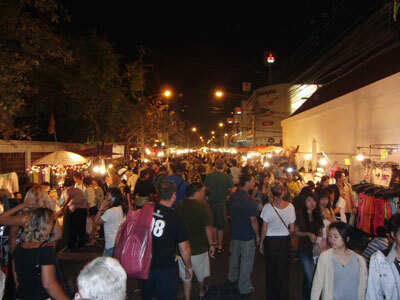 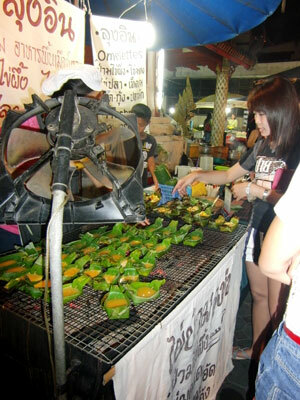 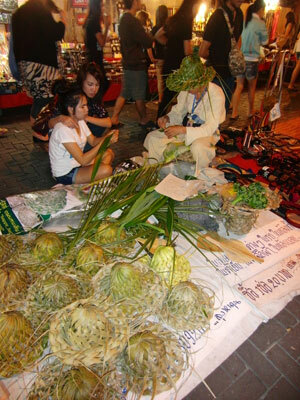 In the evening we visited the weekly street market - Sunday Walking Street - which is held every Sunday on Ratchadamnoen Road between the western and eastern city gate. 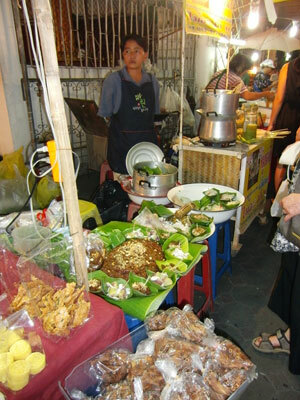 One can find food on every corner and there are a lot of market booths with many different goods. 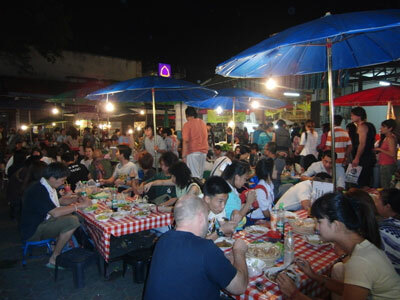 ... but where to begin?